Confessions of a Single Parent Pessimist: PaddlePak: Is This The Cure For Leaky Toddler Bags? PaddlePak: Is This The Cure For Leaky Toddler Bags? Am I the only parent who regularly ends up out and about with a leaky kid's bag? Whether we have been to the beach, swimming or even just out with his drink bottle in the bag, it seems to ALWAYS happen. It wouldn't bother me if it didn't then wet his nappies, wipes, spare clothes and any other rubbish I have in there, so I end up double bagging everything to try to avoid this. 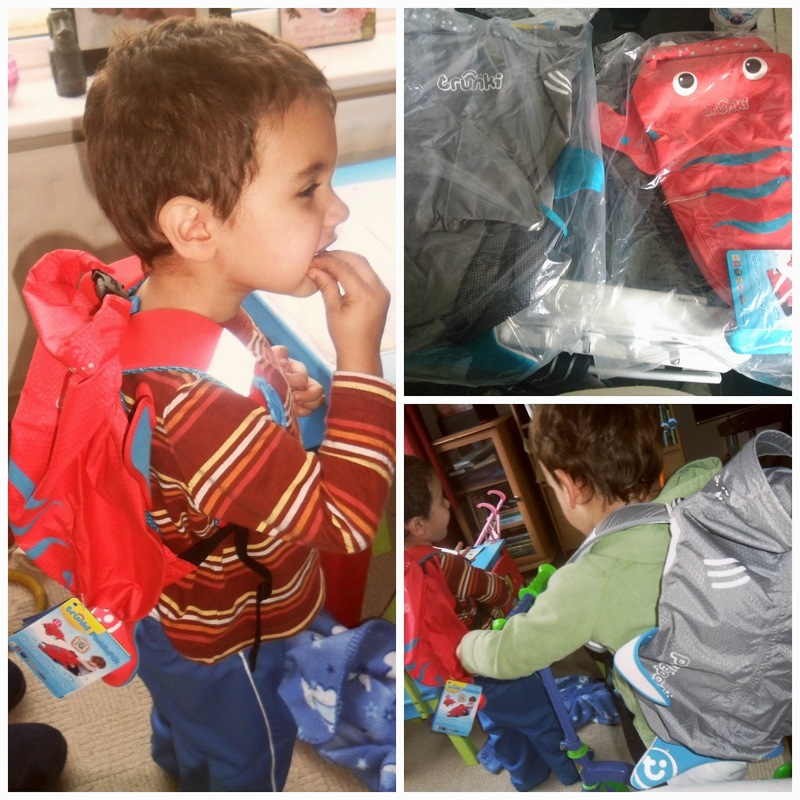 But now, thankfully, Trunki have created a waterproof backpack for kids and asked me to try it out. Naturally I was slightly dubious, especially when we have our trips to the park and Chunk loves nothing more than jumping in huge puddles...repeatedly. We were sent a Shark for Chunk, and a lobster for his cousin Curly and I made sure they put them to the test over a couple of weeks. Curly loves his lobster bag to the point that no other bag is now allowed to be used, so it really has been tested day in day out! 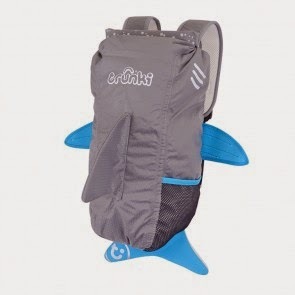 Chunk's shark bag is designed for slightly older children (5+) but I loved the style so much that I ignored that, and it also means we will have a lot more years of use out of it! As you can see the boys love wearing them around the home as well as when we go out, so it's great that they are lightweight and very strong! They have a water-resistant material as well as other useful things including adjustable straps, a high-visibility trim, hanging loops and a grab handle if your little one tries to do a runner near the road. I like the amount of space the bags have for all the snacks, toys, spare clothes and nappies you need for your days out if you don't want to take more than one bag. And the most important conclusion: The Water Test. I can reveal that after a day at the beach, with wet clothes and towels, NOTHING dripped through the bag, so I'm a very happy mummy! Lots more funky, aquatic designs can be found on their website here. These look great bags! I think I will order Ribbit the Frog for my youngest daughter! Thanks for the review!